What exactly is an autoimmune disease? Our immune system is extremely important when it comes to protecting us from both disease and infection. When someone receives a diagnosis of an autoimmune disease, it means that their immune system turns on itself and attacks the body’s healthy cells instead of protecting the body from outside forces that can cause harm. In order to determine if someone indeed has an autoimmune disease disorder, a medical professional will need to perform a thorough evaluation as well as perform a number of blood tests. According to the American Autoimmune Related Diseases Association, sometimes immune cells make a mistake and attack the very cells they normally protect, which can lead to a wide variety of autoimmune diseases. There are currently more than 100 different types of autoimmune disease disorders. While some people have a higher chance of contracting an autoimmune disease than other people, medical professionals are not quite sure of the reason why. Any symptoms someone experiences that a professional believes are the result of an autoimmune disease are going to vary and depend on the part of the body the symptoms occur in. For example, if the disease is affecting the blood vessels or the skin, the patient may experience weakness or tissue damage. If the symptoms occur in the lungs, then the patient may have difficulty breathing. Since the majority of autoimmune disease symptoms tend to be general in nature and similar to other health issue symptoms, professional assistance is necessary for the patient to receive a correct autoimmune disease diagnosis. Even though medical professionals still do not have evidence when it comes to fully understanding why something triggers an autoimmune reaction in one person and not another, one of the major reasons may be heredity. Environmental factors may also play a part, such as taking medications or having an infection. Women are also more susceptible when it comes to getting an autoimmune disease. Since the high majority of autoimmune diseases are chronic and can last more than three months, we encourage patients to explore all of their potential treatment options. 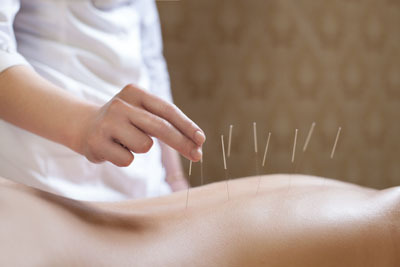 These treatment options can often include alternative medicine. Traditional medicine options often involve medical professional prescribing drugs that suppress the immune system for treatment. However, these prescription drugs do not always treat the underlying cause of the autoimmune disease. Alternative medicine is a top treatment option for those who have been diagnosed with an autoimmune disease because it not only treats the disease it also searches for the underlying causes. This whole body approach to healing is a more modern and thus alternative medicine approach that more people are seeking these days because more and more patients are looking for the best health treatment plans that support their path to better health. When someone contracts an autoimmune disease, health restoration has to be a top priority. Rebuilding one’s health is often necessary after getting an autoimmune disease, especially for people whose health is suffering due to their autoimmune disease. While autoimmune diseases do affect someone physically, many people can benefit from mental assistance, as well. Living with an autoimmune disorder can prove to be very difficult for some people, making it necessary for them to seek health restoration that will support their ability to heal as effectively and quickly as possible. Since there is such a large variety of autoimmune disease disorders that cause general symptoms, people need the assistance of a medical professional in order to receive an accurate autoimmune disease diagnosis. We will need to complete blood testing, which includes running a number of blood tests that provide an accurate diagnosis. A full medical history and examination will also be necessary so that we are able to get an accurate all-around view of exactly what is happening with the patient’s immune system. Metabolic testing is part of the blood testing process and checks for metabolic imbalances. As we complete more metabolic testing we will be able to learn the direct correlation between metabolic imbalances and an autoimmune disease diagnosis. If you would like to learn more about Autoimmune Disease and the various treatments we provide, call (415) 200-1291 to schedule a consultation.